Looking forward to getting down and sharing with everybody alongside the mighty PopNTod over at Dartmouth College! 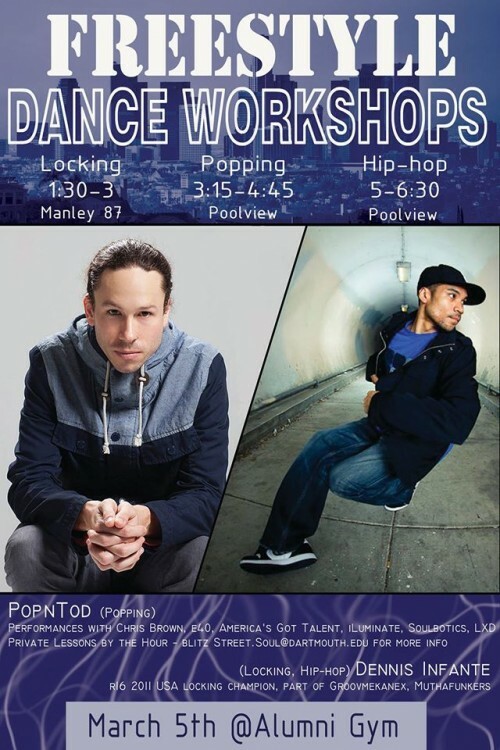 Street Soul is bringing in guest instructors PopNTod and Dennis Infante. Both will be teaching introductory-intermediate level foundation in their respective styles. Don’t miss this chance to learn from these seasoned dancers!